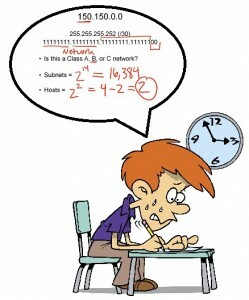 One of the most intimidating but extremely important subjects on the CCENT/CCNA or ICND1 exam is subnetting. We were all taught to think in decimal but computers think in binary and the idea of all those ones and zeros are just a bit overwhelming for most of us. A subnetwork, or subnet, is a subdivision of an IP network address providing multiple smaller networks. 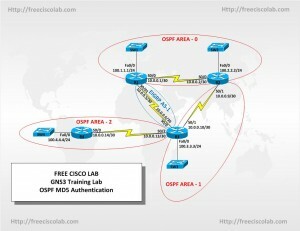 Subnetting is the practice of dividing a network IP address into two or more networks. 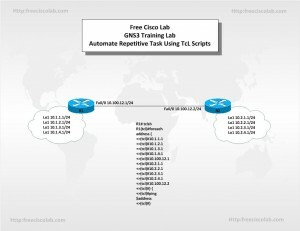 The Cisco IOS Tcl shell was designed to allow users to run Tcl commands directly from the Cisco IOS CLI prompt. Cisco IOS software does contain some subsystems such as Embedded Syslog Manager (ESM) and Interactive Voice Response (IVR) that use Tcl interpreters as part of their implementation. These subsystems have their own proprietary commands and keyword options that are not available in the Tcl shell. 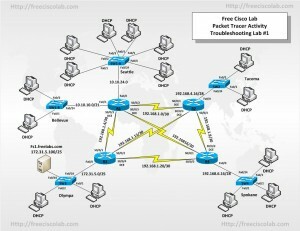 In this Free Cisco Lab CCNA Packet Tracer Activity you will be troubleshooting an existing network with multiple issues. You will implement repairs to restore full connectivity. When the repairs are complete you will update the documentation to reflect all changes made.